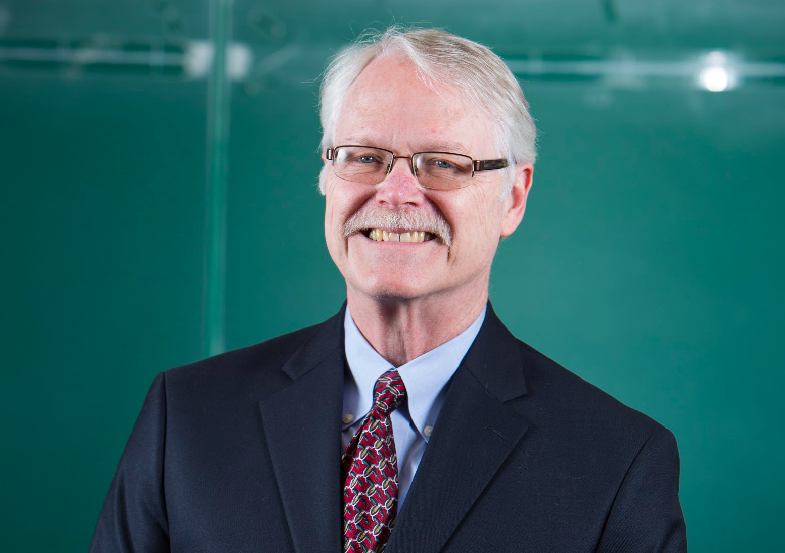 Douglas Cheney, Ph.D., has 42 years’ experience in special education and is a national leader in the area of emotional and behavioral disabilities. He co-directed the the School Mental Health Research, Assessment, and Training Center (SMART) with Aaron Lyon in the School of Medicine (URL: http://education.uw.edu/smart) until 2016, and (b) the Secondary Special Education doctoral leadership program with Dr. Beth West, through 2017. He was co-investigator with SMART center colleagues on an I.E.S. funded research project on Tier 2 mental health intervention, the Brief Intervention for School Clinicians (BRISC), which is being assessed nationally with high schools. He was the director of Washington’s Behavior Research Center on Evidenced Based Practices (2004-10); The BEACONS Outreach Project: Washington’s Positive Behavior Support Network (2003-9) and The Institute on Emotional Disabilities, Keene State College, NH (1992-1996). Dr. Cheney was an Associate Editor for Intervention in the School and Clinic (2004-2013); a Consulting Editor for Behavioral Disorders and Beyond Behavior; and the co-editor of The Journal of Emotional and Behavioral Disorders (2006-12). He is the national Convention Chair for the Council for Exceptional Children’s conference in St. Louis (2016), and the past chair for conventions in Denver (2012) and San Antonio (2013); a Past President (1998-99) of the International Council for Children with Behavioral Disorders; and co-chaired Washington’s Statewide Task Force on Behavioral Disorders from 1997-99, which provided a blueprint for the state’s positive behavior support model. He is currently a consultant to the Center on Inclusive Education in Sofia, Bulgaria (URL: http://cie-bg.eu/) and assists the Center and local schools in Bulgaria to enhance their inclusive educational practices for students with disabilities. Dr. Cheney received a Lifetime Achievement Award in 2010 from Washington state's positive behavior support network and the Frederick J. Weintraub Outstanding Leadership Award from the Council for Exceptional Children in 2017. Walker, B. & Cheney, D. (2012). The Self-Assessment and Program Review Administration Manual: An Assessment Approach for Leadership Teams Implementing Schoolwide Positive Behavior Support. Baltimore: Brookes. Cheney, D. (Ed.) (2010). Transition of secondary students with emotional or behavioral disorders: Current approaches for positive outcomes (2nd Edition). Champaign, IL: Research Press. Cheney, D. & Morris, T. (2017). Programs and Services for Students with Emotional or Behavioral Disorders in the United States. In Oxford Bibliographies in Education. Ed. Anne Hynds. New York: Oxford University Press, forthcoming. Cheney, D., & Jewell, K. (2012). Positive behavior supports and students with emotional and behavioral disorders. In J. P. Bakken, F. E. Obiakor, & A. F. Rotatori (Eds. ), Advances in special education: Behavioral disorders: Practice concerns and students with EBD (Vol. 23, pp. 83-106).Bingley, United Kingdom: Emerald Group Publishing Limited. Cheney, D. & Jewell, K. (2010). School and classroom strategies for prevention of behavior problems. In R. Algozzine, A. Daunic, & S. Smith (Eds.). Preventing Problem Behaviors, 2nd Edition (pp. 133-154). Thousand Oaks, CA: Corwin Press. Lyon, A., Bruns, E., Weathers, E., Canavas, N., Ludwig, K., Vander Stoep, A., Cheney, D., & McCauley, E. (2014). Taking evidence-based practices to school: using expert opinion to develop a brief, evidence-informed school-based mental health intervention. Advances in School Mental Health Promotion, 7, 42-61. Cheney, D. & Yong, M. (2014). RE-AIM Checklist for Integrating and Sustaining Tier Two Social-Behavioral Interventions. Intervention in School and Clinic, 50, 39-44. Tsai, S, Cheney, D. & Walker, B. (2013). Preliminary Psychometrics of the Participatory Evaluation and Expert Review for Classrooms Serving Students with Emotional/Behavioral Disabilities. Behavioral Disorders, 38, 137–153..
Yong, M. & Cheney, D. (2013). Essential Features of Tier Two Social-Behavioral Interventions. Psychology in the Schools, 50, 844-861. Walker, B., Clancy, M., Tsai, S.F, & Cheney, D. (2013). Bridging the research to practice gap: Empowering staff to implement meaningful program evaluation and improvement to better serve students with emotional or behavioral disorders. Beyond Behavior, 22(3), 3-14. Cheney, D. (2012). Transition tips for students with emotional or behavioral disorders. Intervention in School and Clinic, 48, 22-29. Stage, S., Cheney, D., Lynass, L., Mielenz, C. & Flower, A. (2012). Three validity studies of the daily progress report in relationship to the check, connect, and expect intervention. Journal of Positive Behavior Interventions, 14, 181-191. Tsai, S. & Cheney, D. (2012). The Impact of the Adult-Child Relationship on School Adjustment for Children at Risk of Serious Behavior Problems. Journal of Emotional and Behavioral Disorders, 20, 105-114. Waitoller, F. R., Artiles, A. A., & Cheney, D. (2010). The miner’s canary: A review of overrepresentation research and explanations. Journal of Special Education, 44, 29-49. Cheney, D., Lynass, L., Flower, A., Waugh, M., & Iwaszuk, W. (2010). The Check, Connect, and Expect Program: A Targeted, Tier Two Intervention in the School-Wide Positive Behavior Support Model. Preventing School Failure, 54, 152-158. Cheney, D., Stage, S., Hawken, L., Lynass, L., Mielenz, C., & Waugh, M. (2009). A two-year outcome study of the check, connect, and expect intervention for students at-risk of severe behavior problems. Journal of Emotional and Behavioral Disorders, 17, 226-243. Blum, C. & Cheney, D. (2009). The validity and reliability of the Teacher Knowledge and Skills Survey for positive behavior support. Teacher Education and Special Education, 32, 239-256. Walker, B., Cheney, D. & Stage, S. (2009). The validity and reliability of the Self-Assessment and Program Review Survey: Assessing school progress in schoolwide positive behavior support. Journal of Positive Behavior Interventions, 11, 94-109. Walker, B., Cheney, D., Stage, S., & Blum, C. (2005).Schoolwide screening and positive behavior support: Identifying and supporting students at risk of school failure. Journal of Positive Behavior Interventions, 7, 194-204. Vander Stoep A, Weiss NS, Saldanha E, Cheney D, Cohen P (2003). What proportion of failure to complete secondary school in the U.S. population is attributable to adolescent psychiatric disorder? Journal of Behavioral Health Services & Research, 30, 119-124. Cheney, D., Malloy, J., & Hagner, D. (1998). Finishing high school in many different ways: Project RENEW in Manchester, New Hampshire. Effective School Practices, 17(2) 45-52. Cheney, D., Hagner, D., Malloy, J., Cormier, G., & Bernstein, S. (1998). Transition to adulthood for students with serious emotional disturbance: Initial results of Project RENEW. Career Development for Exceptional Individuals, 21, 17-32. Cheney, D., & Manning, B & Upham, D. (1997). Project DESTINY: Engaging families of students with emotional and behavioral disabilities. Teaching Exceptional Children, 30 , 24-29.